Can You Identify Me? Do You Know Me? : PAMELA DOE – I Want to Go Home! PAMELA DOE – I Want to Go Home! Was I running from someone? Was I on my way home? 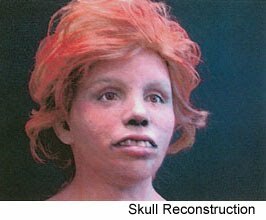 On December 16, 1988, they found me on the east side of northbound I-59, in Rising Fawn Georgia, five miles north of the Alabama/Georgia state line. Investigators say I was sexually abused and then strangled to death. They believe I may have been a hitchhiker, just passing through on my way to (or from) somewhere else. Hitchhiking was still pretty common in the late 80's, and with no other means to get wherever I was going, maybe this was the method I had to use. Whatever I might have been running to (or from), I still had a home – and people who loved me. I was somebody's daughter, maybe someone's sister. If I tell you a little about myself, maybe you can be the one to help me finally find my way home. I was between 16 and 25 years old. I stood between 5'6” and 5'8” and weighed 120 – 125 pounds. My hair was either brownish-red or strawberry-red, with lightly-frosted tips. I had brown eyes. I didn’t have any tattoos or scars though. When they found me, I was wearing Calvin Klein jeans, a navy-blue thermaknit long-sleeved pullover (size extra-large), a navy blue bra and black ankle-high lace up shoes (size 9). I had a white-gold pinkie ring with a heart on it on my left pinkie and a yellow-gold chain necklace around my neck. Three of my teeth had minor dental work done on them (nothing serious) and one tooth - #17 – was impacted. It's been almost 22 years now; can you help me find my way home? At the time this was posted, it would have been almost 22 years.. not 12. You are absolutely right. We have made the adjustment accordingly. Thank you for catching this typo. Your time visiting our site, viewing these individuals and helping out is greatly appreciated. Don't forget to tell everyone you know to come visit. You never know when you might reach that one person who can help identify someone. Have I thanked you lately for all this hard work you do faithfully? No? Thanks, Rebel!! Hug for you! That's very kind and appreciated. I hope that the work we do here continues to make a difference and brings closure for these victims and their families. I'm blessed to be part of this amazing process.